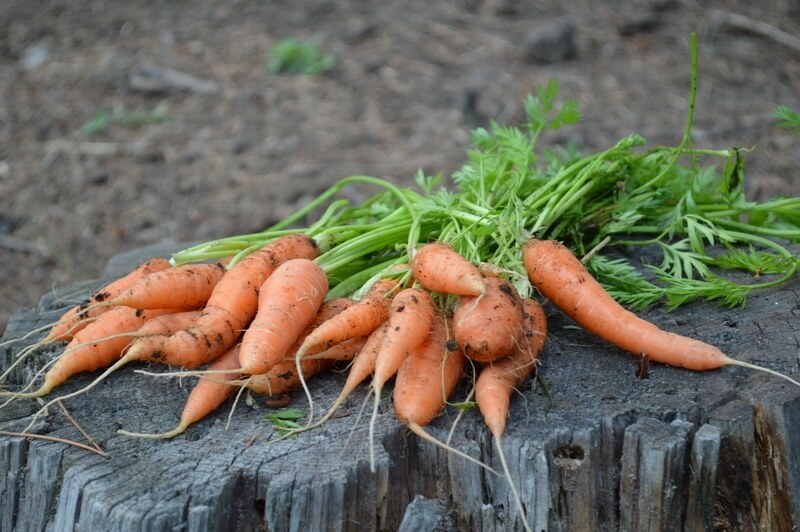 These 7 organic gardening tips can make the difference between wasted garden efforts and year round meals from your garden. With a little focused effort and these organic garden tips you’ll get better garden yields this year AND in the future. There’s an old saying, “The eye of the farmer fattens the cattle.” While this is a truism, it also works in gardens. The eye of the gardener is the best tool you have to make sure that your organic garden produces to its maximum potential. 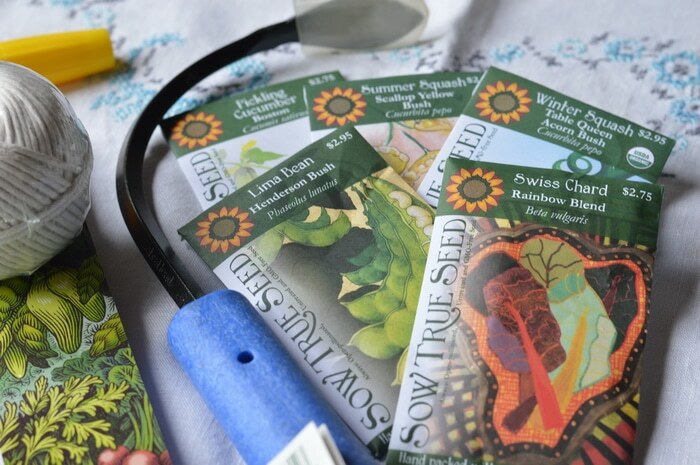 Planting the right seed, water, and sunshine will go a long ways to getting organic vegetables, herbs, and flowers from your garden, but you can’t just sit back and wait. 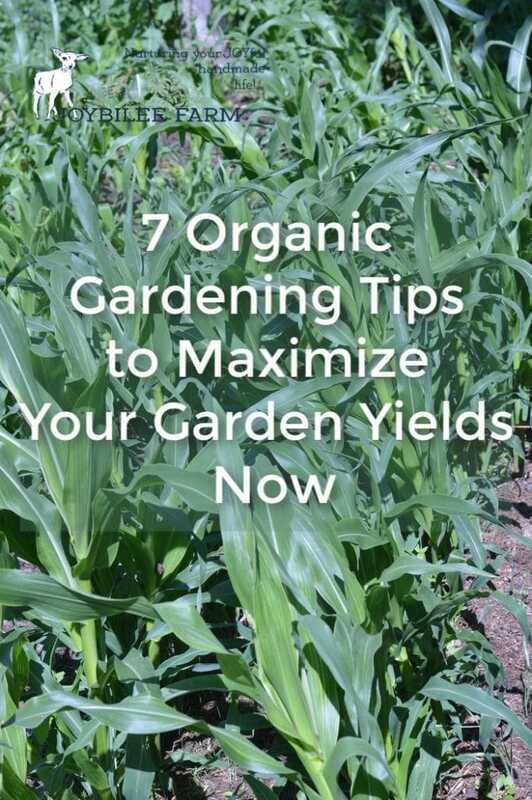 Ask the experienced organic gardeners in your community and they will tell you, do these 7 things too, to maximize your yields. 1. Weed out the weeds you don’t want, both in the rows and between the rows. It can be hard to keep up with the weeds, I know. But if you get them out of the garden before they set seed, you’ll have an easier job next year. Get those weeds now and you’ll be happier later. Many of these weeds can be used in herbal medicine like plantain, chickweed, dandelion, and lambs quarters. Be sure to make an exact identification before consuming garden weeds. Not all weeds are edible or useful for medicine. Wondering what is a seed and what is a weed? This will help. 2. Weed the outskirts of the garden, too. This is where the mice, voles, and slugs hide. Get rid of the hiding places and you’ll have less damage, not just this year but next year as well. 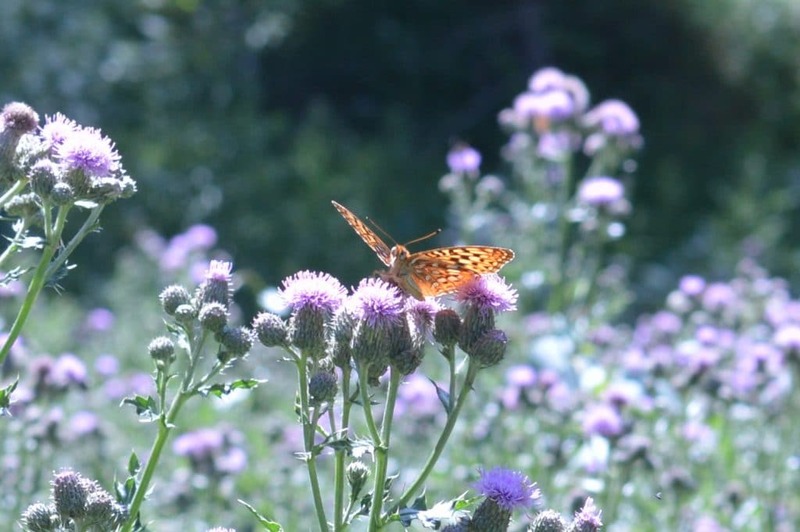 If you have a large acreage, leave native plants for native pollinators in an area away from the garden, so that you don’t create hiding spots for vermin. 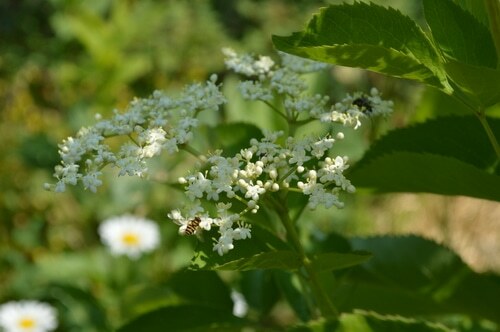 While you are weeding don’t forget to harvest the edible and medicinal weeds. 3. Thin your plants to their optimum spacing. It’s hard when you plant 3 or 4 seeds for every one plant you want to keep. You want to keep all those healthy shoots. But if you haven’t done it already, be ruthless. If it says 1 foot apart, don’t try to get away with 8 inches. You won’t get the size of crops that you hoped for. 4. Know your beneficial insects and let them do their job. All bugs aren’t bad. There are some that are good. Pollinators are good. Let them be. If you see them on a plant you want to harvest, give them a little more time to do their job. Predatory insects are also good bugs. Don’t squish them. 5. Before you grab the sprays try handpicking and squishing the bad bugs. Sprays are universal. They kill both good bugs and bad bugs. And they often don’t really make a long term difference in your garden. Save the sprays for times when you can’t keep up. I’ve found handpicking to be the most effective in ridding my garden of slugs, Japanese beetles, and tent caterpillars. I hold a pail with soapy water in one hand and brush the bugs directly into the pail. It’s quick and effective. And none of the bugs escape. 6. Water before they wilt. 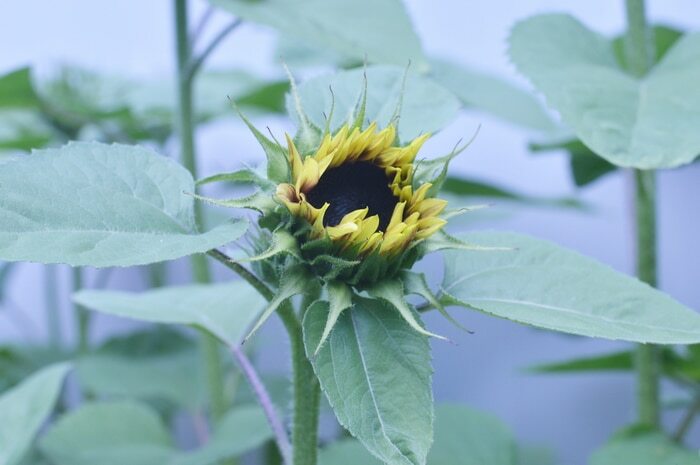 If your plants are heat stressed and begin to wilt, you set back flowering and fruiting. Avoid wilted plants by watering in the morning on hot days. Even where there are watering restrictions, often hand watering is allowed. Check with your regional water authority for the rules in your region. Use mulch in between the rows to cut down weeding and to keep moisture levels even. 7. Harvest at the optimal time for each crop. Schedule a time each week to harvest your fruit and vegetables at the optimal time. Just like you go grocery shopping each week you need to “shop” your garden to bring in the harvest as it ripens. Follow these 7 organic gardening tips to maximize garden yields. You’ll be happier with the results and your organic garden will thrive. Do you have other organic gardening tips to help new gardeners maximize their yields? Leave a comment.